MasterCard: "Marketers tend to hide behind jargon and KPIs which nobody other than the marketing person cares about." As advertising and marketing adapt to the changing requirements of the digital revolution, it's becoming clear that the industry needs to rethink the metrics used to measure success. At Wake Up With The Economist, adland's big brains gathered to discuss the current state of the industry, outdated measurements for success and the new metrics needed to accurately track the performance of campaigns. "The way we measure marketing effectiveness – essentially those methodologies have not changed in any meaningful way in the last 40 years," said Brad Jakeman, president global beverage group, PepsiCo. 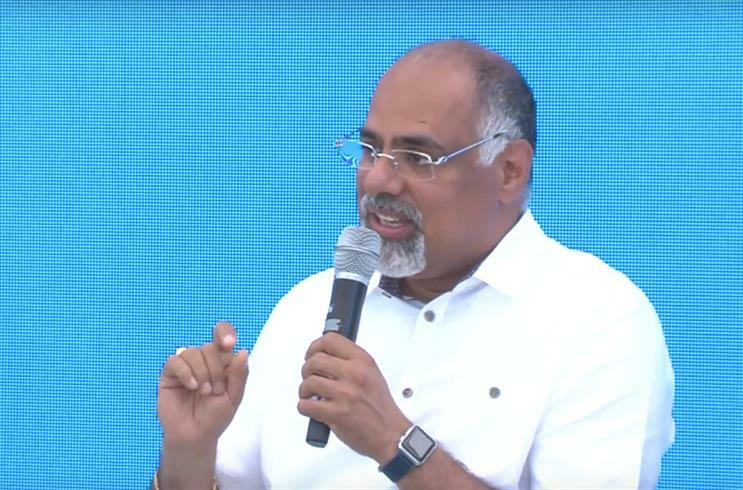 "In multiple cases I see that the true value that marketing can bring in driving the business is not fully appreciated," said Raja Rajamannar, chief marketing and communications officer at MasterCard. He added that marketers themselves are at fault: "We tend to live in our own ivory tower and hide behind jargon and marketing KPIs which nobody other than the marketing person cares about". Metrics like views and clickthroughs are irrelevant, Rajamannar argued. "The key thing is: at the end of the day, did the outcome happen the way we wanted it to?" Ann Mujkherjee, CMO at SC Johnson, expressed concern at companies limiting themselves to measuring the marketing or media impact of a campaign. "You want to make sure how you got that is replicable so you need to understand that total landscape," she said. "If you don't operationalise that into actual operationalised behaviour, don't do it, it's just money wasted." "You have to deliver," said Rajamannar. "Marketing really has to show and prove what they are driving, because if you're not able to do that then that's the first place where the CFO says, 'Okay, we are cutting your marketing dollars for this quarter'." Marc Pritchard, chief brand officer at P&G, noted that for P&G's products, reach is the key measurement. "We tend to put advertising under things that people want to watch and if they watch that then frankly we tend to reach a lot more people," he said. "If you reach a lot of people, it's in something that they're enjoying watching, you have a decent ad, the best thing to do is actually measure did the brand grow?"